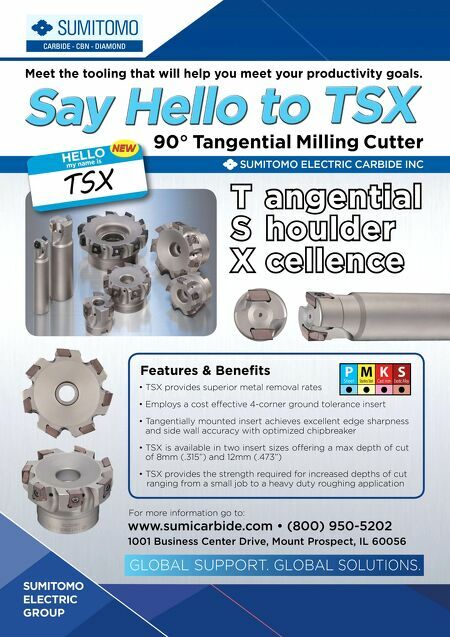 T angential S houlder X cellence 90° Tangential Milling Cutter www.sumicarbide.com • (800) 950-5202 1001 Business Center Drive, Mount Prospect, IL 60056 GLOBAL SUPPORT. GLOBAL SOLUTIONS . 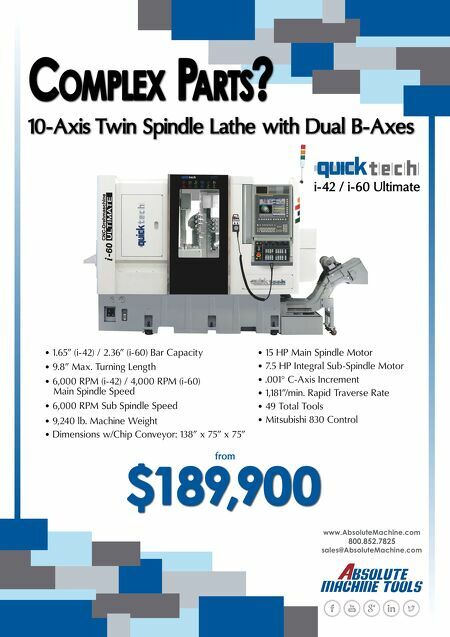 For more information go to: Features & Benefi ts • TSX provides superior metal removal rates • Employs a cost effective 4-corner ground tolerance insert • Tangentially mounted insert achieves excellent edge sharpness and side wall accuracy with optimized chipbreaker • TSX is available in two insert sizes offering a max depth of cut of 8mm (.315") and 12mm (.473") • TSX provides the strength required for increased depths of cut ranging from a small job to a heavy duty roughing application 90° Tangential Milling Cutter 90° Tangential Milling Cutter P Steel M Stainless Steel K Cast Iron S Exotic Alloy Meet the tooling that will help you meet your productivity goals.